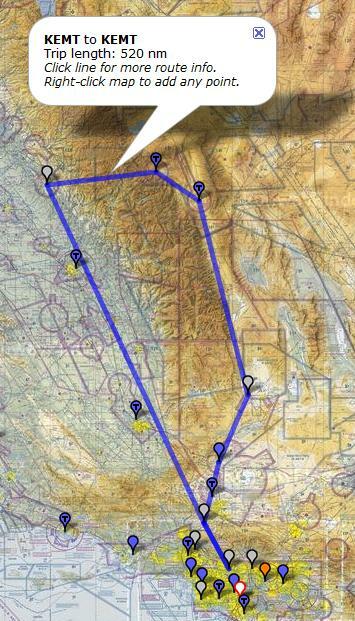 I’ll be going with two pilots to Mammoth on Sunday. The weather is looking great and there should be a good dusting of snow on the Sierra. You should be able to track us via our SPOT tracker. Our rough planned route is shown below. This entry was posted in FLIT by dgwerntz. Bookmark the permalink.